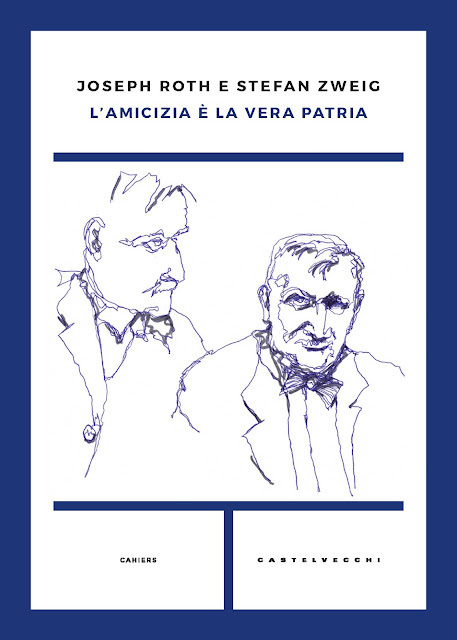 A few weeks ago Italian publishing house Castelvecchi Editore asked permission to use one of my drawings for the cover of the Italian version of the correspondence between Joseph Roth and Stefan Zweig, titled "L’amicizia è la vera patria" (Friendship is the true homeland). 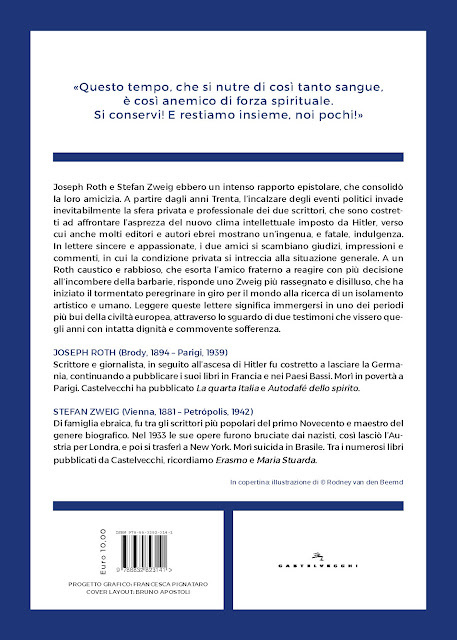 The book has now been printed and I was very pleased to receive my complimentary copies earlier this week. 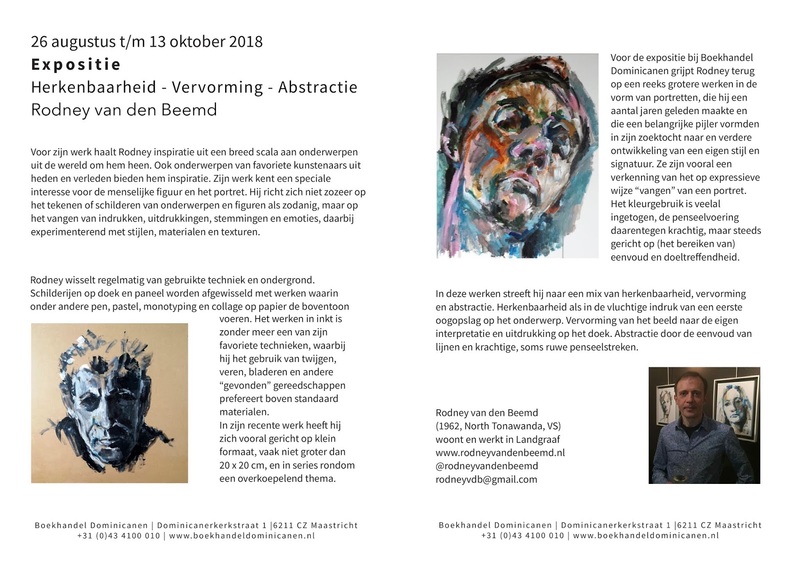 My exhibition @ Bookshop Dominicanen in Maastricht has been prolonged until 19 October. 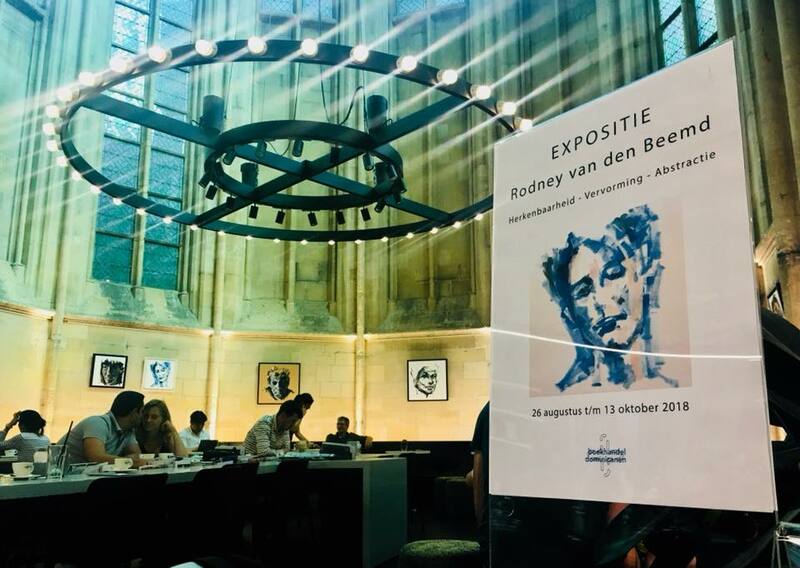 From 26 August to 19 October I will be exhibiting in the beautiful setting of Bookshop Dominicanen in Maastricht, known as one of the most beautiful bookshops in the world. During that period ten of my paintings, portraits, will be hanging in the priest's chancel of the former Dominican Church. The title of the exhibition is "Recognisability - Distortion - Abstraction". If you are in the area and interested, then you are of course very welcome to go and see! 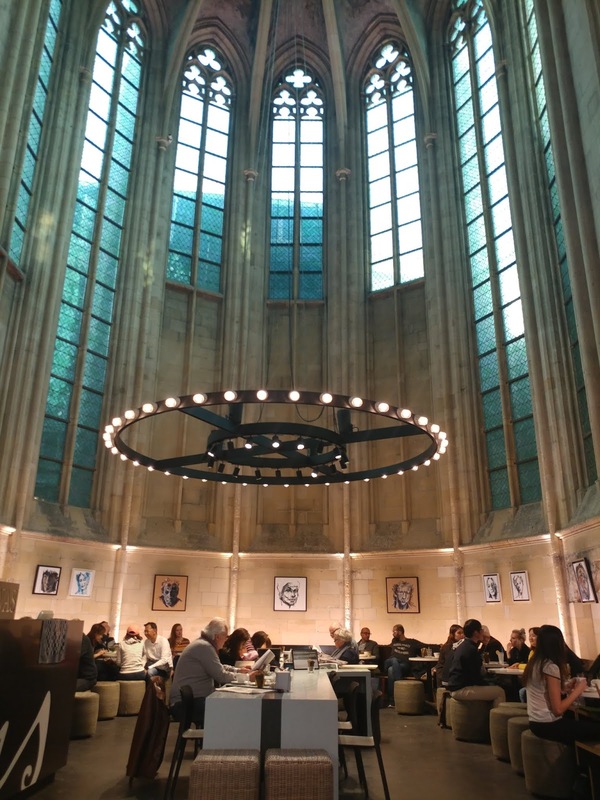 From 26 August to 13 October I will be exhibiting in the beautiful setting of Bookshop Dominicanen in Maastricht, known as one of the most beautiful bookshops in the world. During that period ten of my paintings, portraits, will be hanging in the priest's chancel of the former Dominican Church. 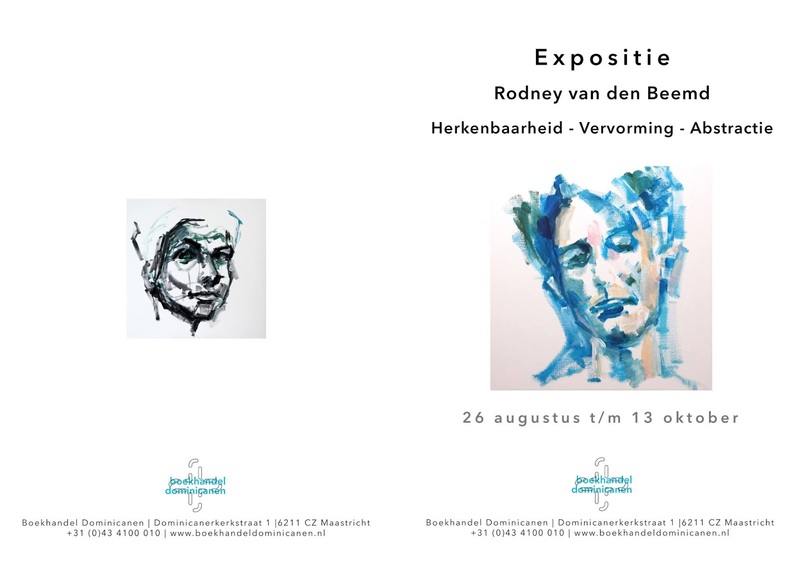 The title of the exhibition is "Recognisability - Distortion - Abstraction". If you are in the area and interested, then you are of course very welcome to go and see! 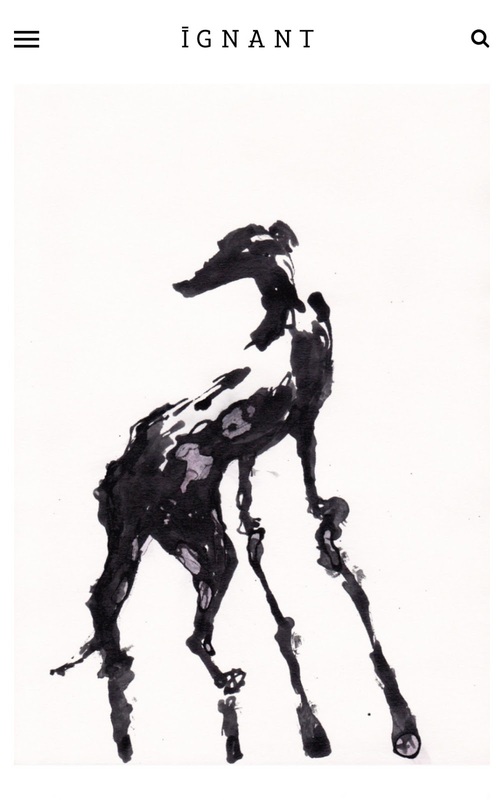 Artist Petra Hartl from Vienna runs an extensive and interesting blog titled "Hund und Kunst", dedicated to dogs and/in art. 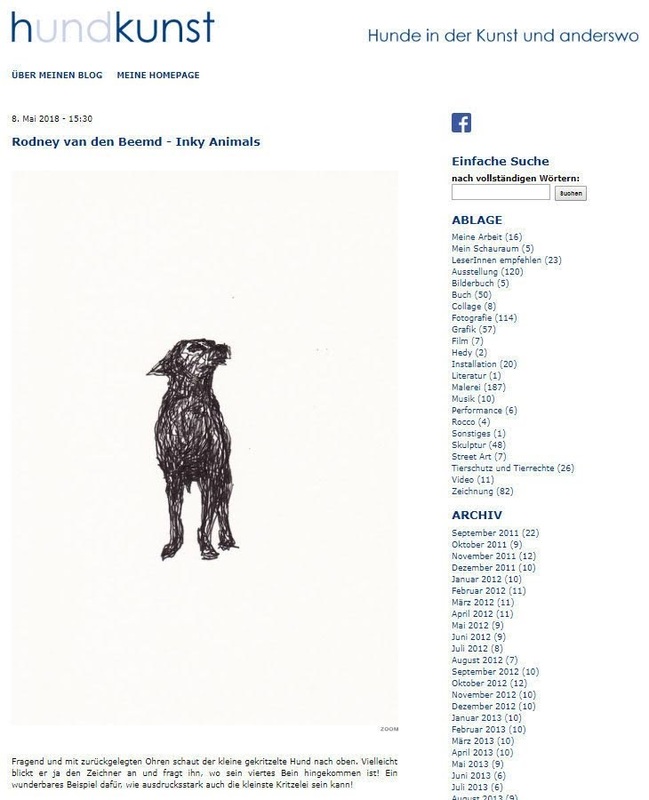 My recent ink drawings of dogs and other animals drew her attention and after checking out more of my work she did a feature of it on her blog, titled "Inky Animals". I'm very pleased with the view she takes on it and the effort she did to step into my work and describe it in such a poetic way. My "Inky Animals" series has been featured on iGNANT. "Inky Animals" is an ongoing series of expressive ink-drawings aimed at catching form, expression and movement of animals with bold and minimal appliance of ink. They are all drawn/painted with wayward twigs, feathers, leafs and other unconventional drawing tools which compared to conventional drawing tools like fountain pen or brush leaves far less control over the flow of the ink, leading to a broad variation in the thickness of lines and also the occasional blob of ink. iGNANT is an award-winning online magazine featuring the finest in art, design, photography and architecture.